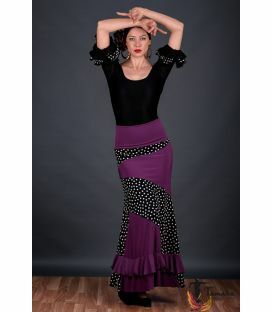 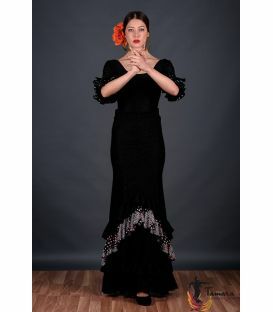 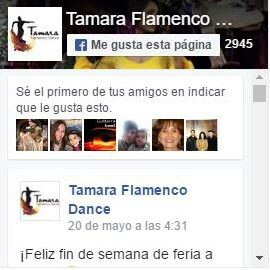 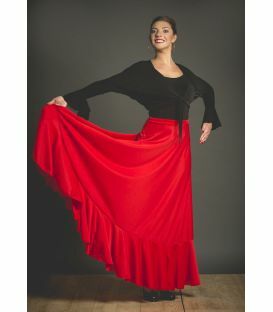 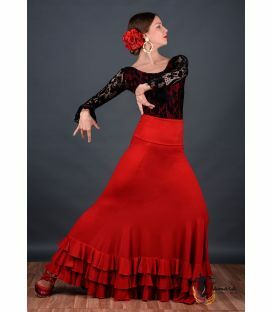 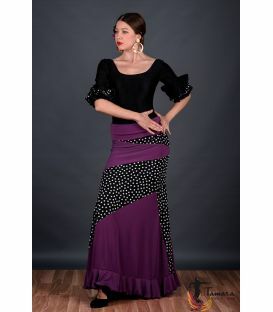 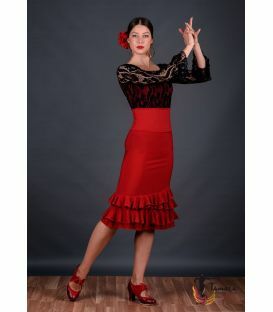 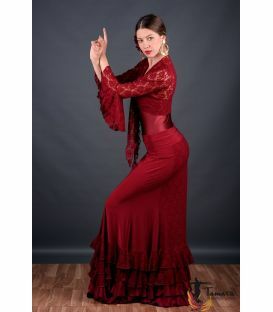 The skirt for dancing flamenco Granada with small polka dots and extra flounce is a model that you should not miss. 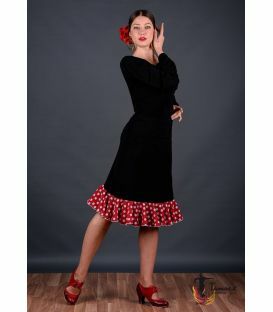 It is made up of an up to half a leg, with a diagonal cut and a skirt with polka dots and a small flounce at the end. 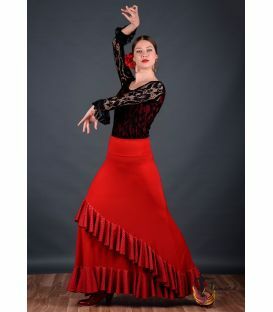 It is a curious design, because normally in this model is given much prominence to the carved part, but in this case the skirt flight also brings its touch of originality with the detail of the flounce in the lowest part. 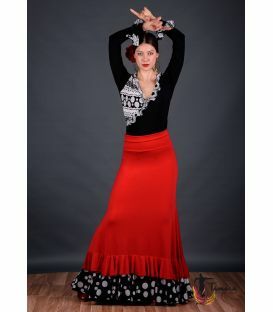 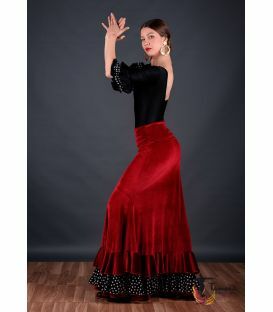 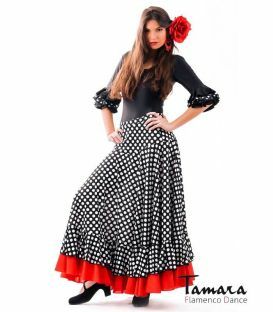 If we add to that the polka dots are never too much in flamenco dress, we can find in this skirt a perfect ally to give free rein to the art of flamenco dancing.